Let’s Talk About Cellulite and ‘Butter Your Muffin’…Really! Cellulite. It’s on the minds of many ladies (and a very small percentage of men) who are getting ready to bare some serious skin this summer. What’s the biggest downer about these dimples? There’s really no permanent solution for getting rid of them. They are there to stay according to experts. But, the biggest sigh of relief comes with knowing that there are things we can do to seriously improve the look of those problem areas. Actually, Dr. Oz in one of his most recent segments strongly recommended a body care regimen containing caffeine, retinol, and antioxidants as the most powerful solution to minimizing the appearance of cellulite. 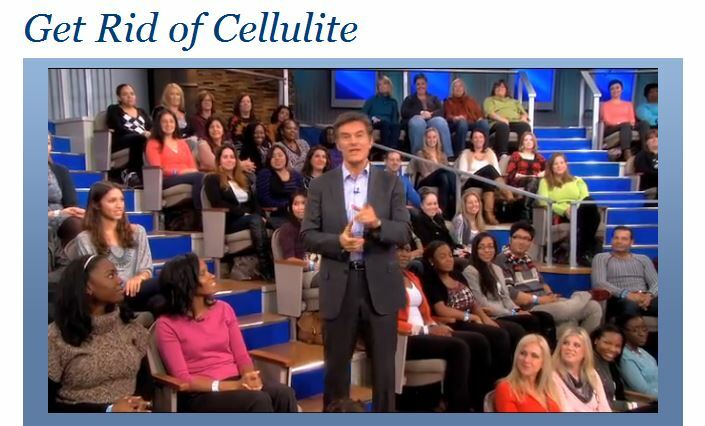 click here to watch Dr. Oz’s advice on cellulite. Did you know that Treat’s Butter Your Muffin Organic Anti-Cellulite Body Cream has all 3 of Dr. Oz’s recommended ingredients and more? Of course I’m a fan of everything that Treat Beauty makes. 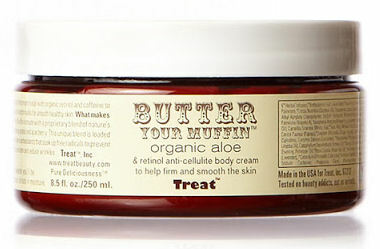 But I have to admit that Treat’s Butter Your Muffing Body Cream is one of my all-time beauty faves. Ever. What it is: A detoxifying organic body cream made with retinol, caffeine, and a proprietary blend of nature’s most potent antioxidants to help diminish fine lines, bumps, and stretch marks for smooth healthy skin. Star ingredients: Caffeine, Vitamin A, Vitamin E, Pink Grapefruit, Pomegranate Oil, Acai Berry Oil, Vitamin B5, Willow Bark, Ginger, White Tea, Evening Primrose, Organic Aloe, Organic Coconut Oil, Cocoa Butter. To Treat: Apply morning and evening concentrating on cellulite and stretch mark problem areas. Spas rave about it. Customers rave about it. I rave about it. It’s a must have. Seriously. Next Next post: You Said It Dolly.